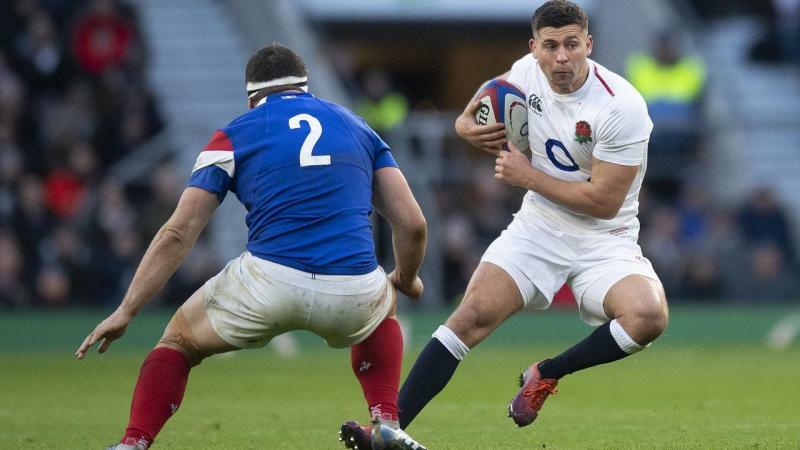 In an ominous Rugby World Cup warning, halfback Ben Youngs claims England have produced their greatest rugby of the Eddie Jones era in sweeping aside Ireland and France. Emphatic wins in the opening two rounds of the Six Nations have set-up a title showdown with Wales in Cardiff on Saturday week that will place the Grand Slam in the winners' sights. Jones has masterminded 30 wins from 37 Tests as England head coach in a record that includes a Six Nations Grand Slam and 3-0 series whitewash of the Wallabies in Australia. When asked if England are playing at the highest level of rugby under Jones, Youngs replied: "From what I remember since I've been involved with Eddie, yes. "It's probably not higher intensity, just more consistent within it. Maybe that's maturity, personnel - I'm not sure. "It's certainly great fun out there. You can probably see it - from one to 23, guys are thriving and loving being part of the team. "If you're 30-8 up against France at halftime you are doing something right. There weren't many mistakes." The only frustration to emerge from the Twickenham landslide was an ankle problem sustained by Mako Vunipola, with an update on the blockbusting loosehead prop's condition expected in the coming days. Morgan Parra, the country's most capped halfback, has hinted at discord in the camp. "I think that we are capable of doing what the English do, but are we working on this during training? I think we don't work on it enough, even not at all," Parra said. "Yet these are very simple things that are today part of high-level rugby. We can do this. But do we work on it? No."